The first of many robot police officers is ready. Is robot policing the way of the future? Dubai is well on its way to finding out. The emirate, one of seven in the UAE, is taking a technological leap of faith this week as it introduces its first robot officer to the Dubai police force. Designed by the Spanish company PAL Robotics, the specialized REEM robot stands 5 feet 6 inches high and looks like a knight in shining white plastic armor, riding in on its wheels (rather than a horse). What can the robot police officer do? The prototype unveiled last year at GITEX, an annual Dubai-based electronics trade show, was basically a glorified kiosk, complete with a touch screen interface. Using an integrated tablet on the robot's midsection, people could report crimes, submit paperwork, and pay fines for traffic violations. It's unclear how or if the robot has been upgraded since then, though Dubai police were working with Watson, IBM's AI system, on voice command recognition. Eventually, the department plans on using the robots as full-fledged police officers. 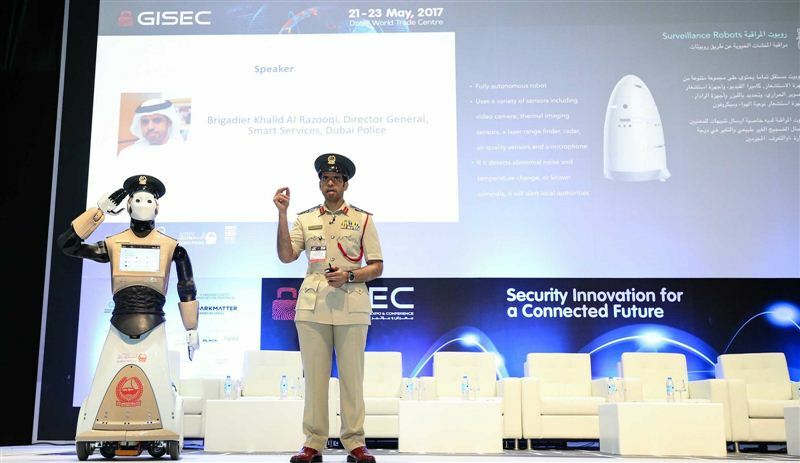 But does "smart," the term the Dubai Police Department uses to describe their new robot initiative, mean better? It isn't clear how the public will react to a robot police officer. Will people trust a robot more implicitly, assuming it won't have the same biases human officers have? It's also possible people might feel uncomfortable approaching a robot to report a crime, leading to underreporting. While there are questions surrounding Dubai's implementation of its robot officer, it's clear that other countries will be watching Dubai's experiment closely as they weigh the pros and cons of their own robotic police force.